QB Matt Ryan speaks to Chris Simms and Mike Florio from NBC's ProFootballTalk. 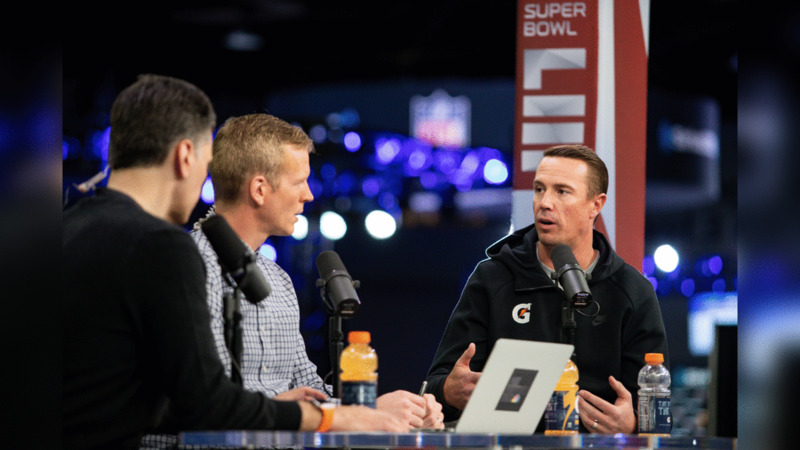 QB Matt Ryan speaks to Chris Simms from NBC's ProFootballTalk and Rodney Harrison. QB Matt Ryan speaks to Chris Simms from NBC's ProFootballTalk. QB Matt Ryan speaks to Adam Schein from Sirius Mad Dog on Radio Row. QB Matt Ryan speaks to Justin Felder from Fox5 Sports.